Jacob Hagen-Johnson was a competitive gymnast, who loved hanging out with friends, playing soccer and listening to music. 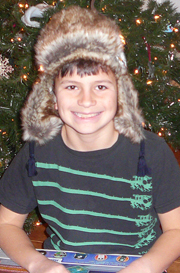 As the oldest of 5 children, Jacob was caring, playful and a quiet leader. On March 23rd, 2010 a new chapter in Jacob's Story began. Jacob had been feeling weak and looking pale. Blood work confirmed that he had Acute Myelogenous Leukemia (AML). Jacob spent the next 5 months in the hospital. He made a choice to focus on the positive aspects of his journey and the miracles in each and every day. With Jacob's amazing attitude along with the love and support from family, friends and community he walked through his journey with strength and love. 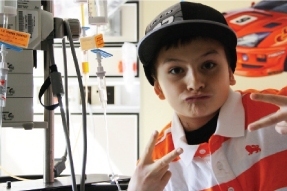 The love, prayers and positive thinking helped Jacob continue his journey in the best way possible. On August 24th Jacob's amazing spirit made a choice to leave his weak body and enter into pure divine white light. In the previous month we had a discussion with Jacob regarding Jacob's story. 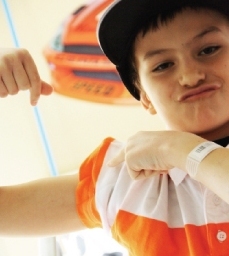 We all felt that we wanted to continue Jacob's Story to help families in similar situations. Jessica and Bill's ultimate goal is to create a registered charity to honour Jacob and help children and their families.